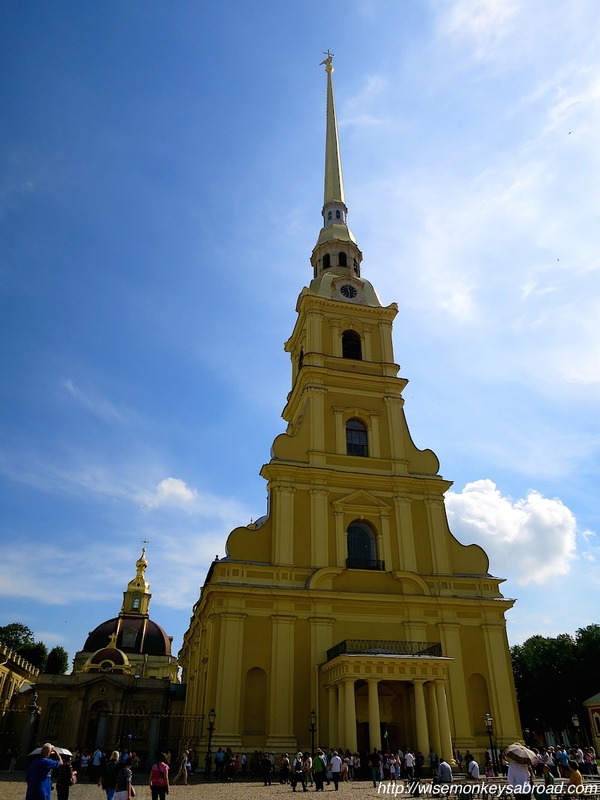 Everywhere we visited in St Petersburg, there were a lot of people sightseeing, doing what we were doing. 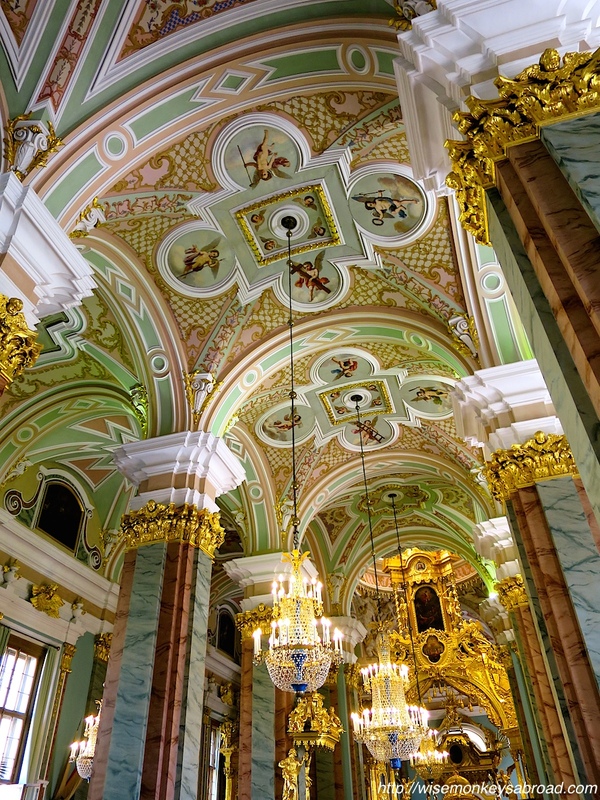 Peter and Paul Cathedral was no different. 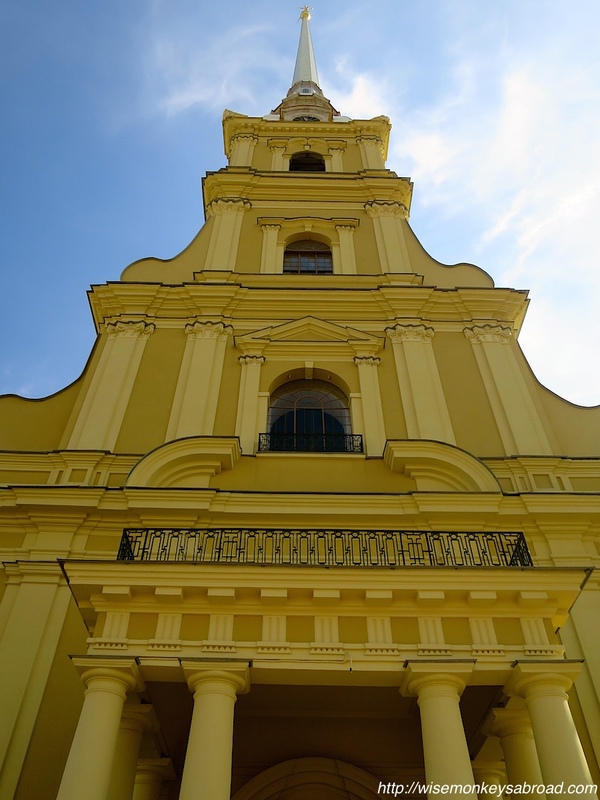 In comparison to some of the other European churches we visited, the cathedral was probably on the smaller side so the crowd here might’ve seemed disproportionally large. 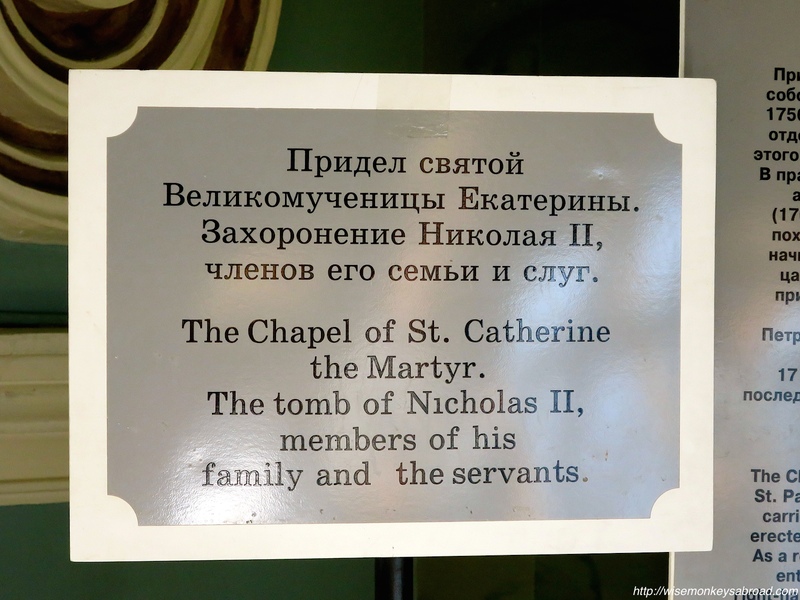 The draw card might be because the cathedral holds the remains of many of Russia’s Emperors and Empresses, including Tsar Nicholas II and his family. 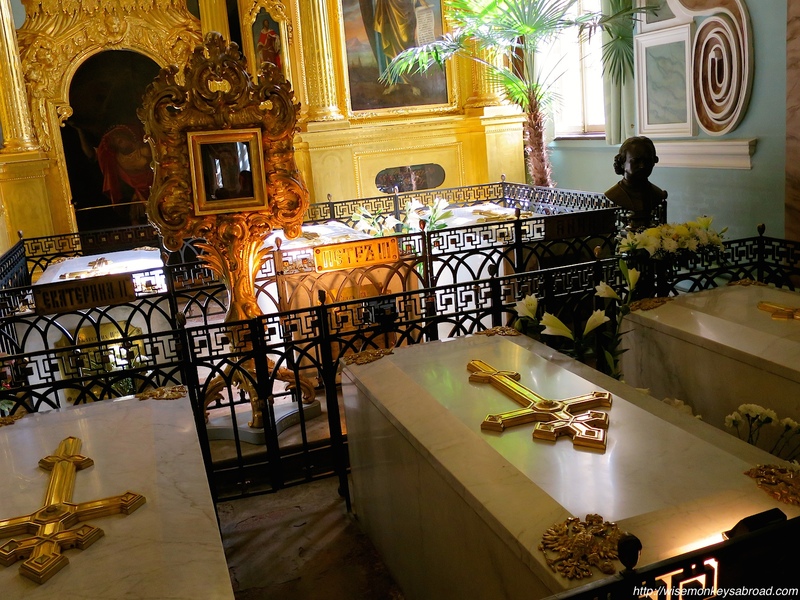 The last Tsar along with his family, were famously executed in the dead of the night. 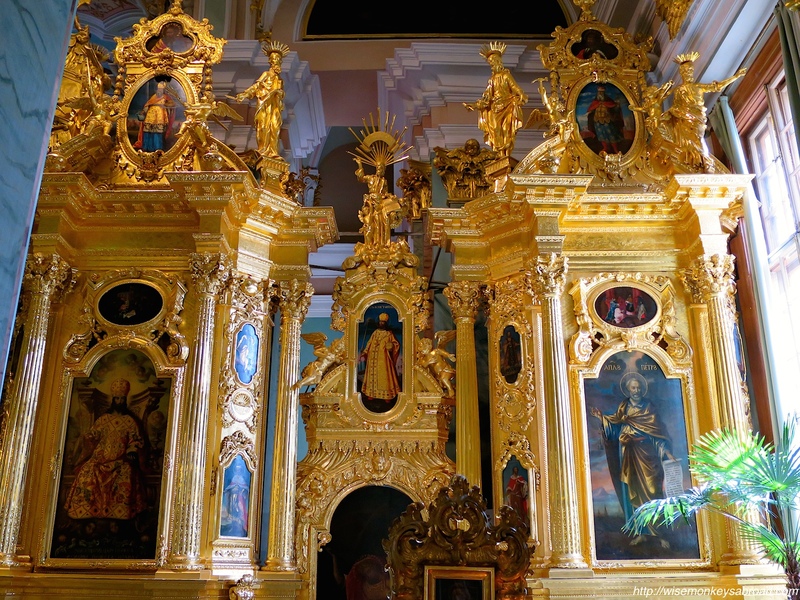 Though rumours say that two of the children were never found (the more famous being the Princess Anastasia), our Russian tour guide said that those stories are merely a “fairytale” made up by the rest of the Western world to make the history more exciting. 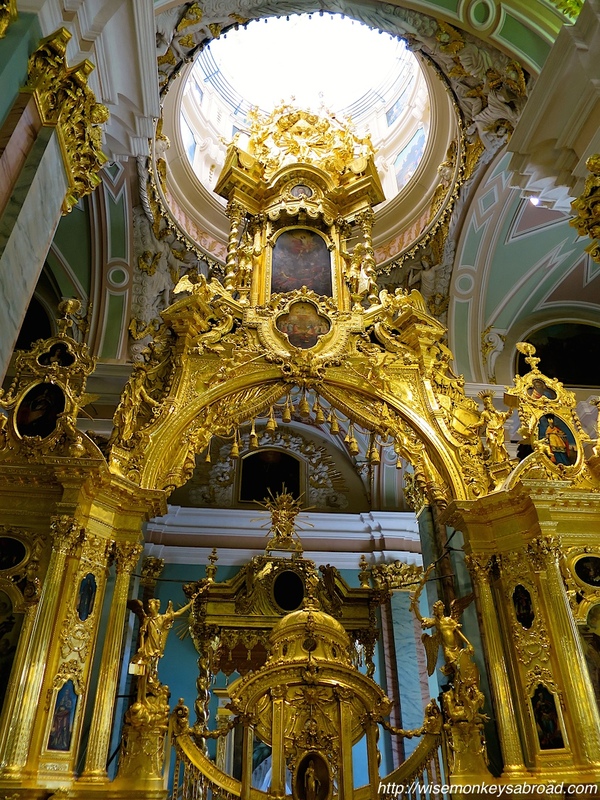 Anyway, as with other Russian buildings (such as the Hermitage and Catherine Palace) built during this era, the interiors are opulent and ornate. 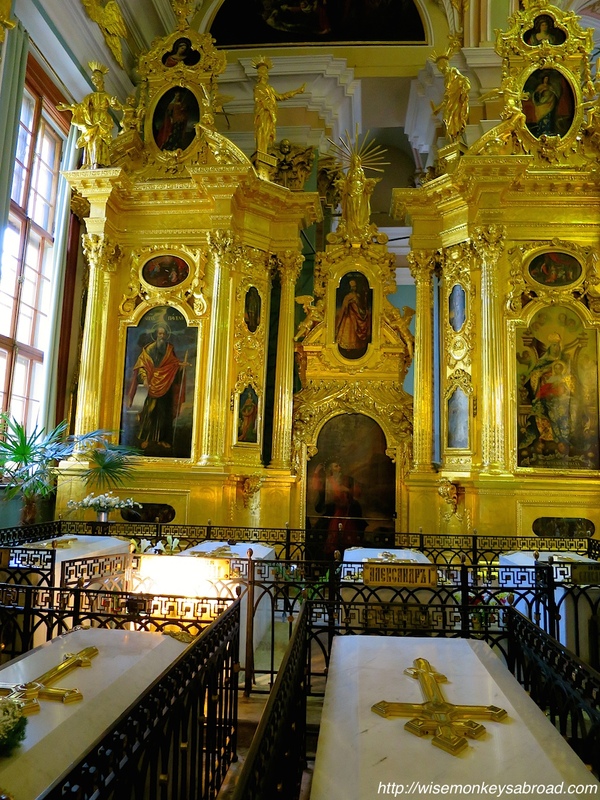 And here, we shall stop writing and let you take a glimpse inside the cathedral for yourself. 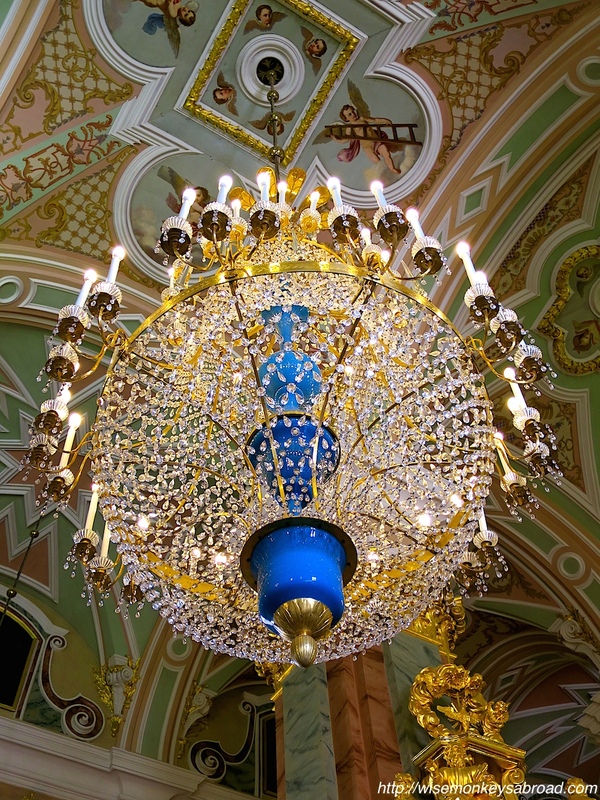 Hope you enjoy our photo essay. 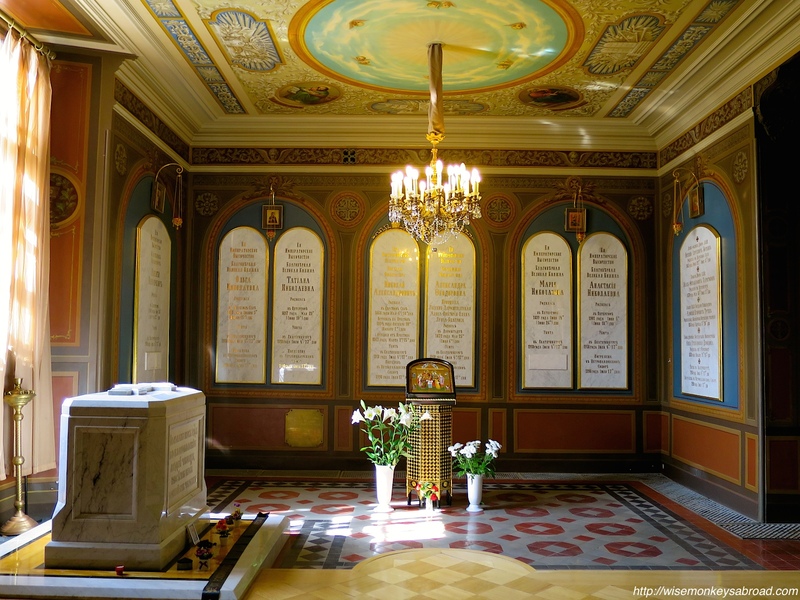 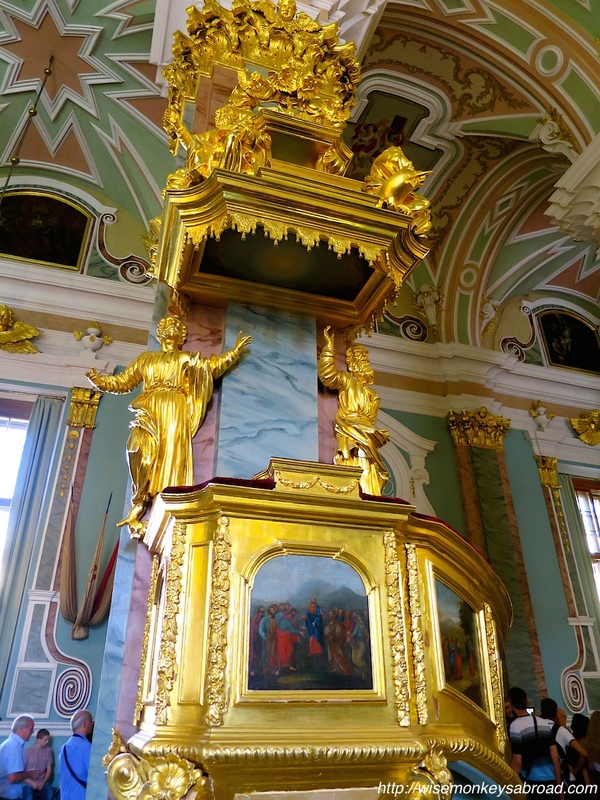 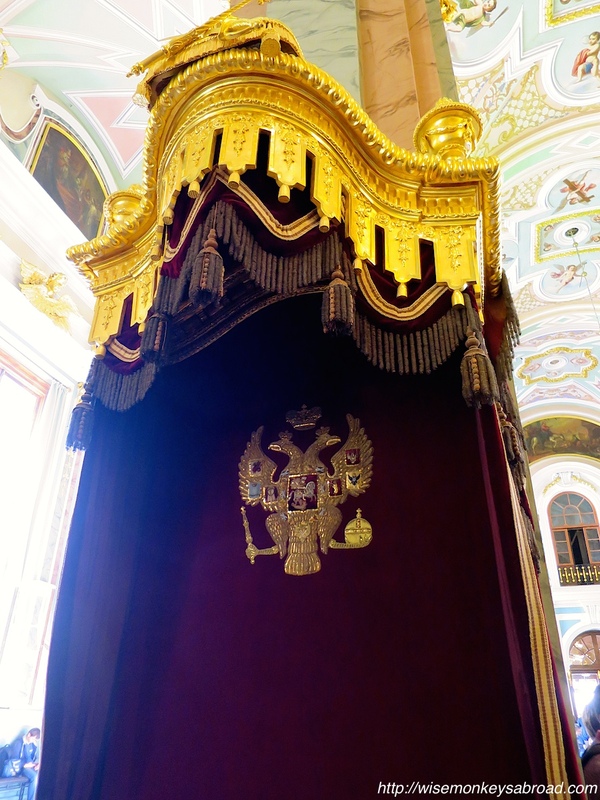 This entry was posted in Russia and tagged Europe, Peter and Paul Cathedral, photo essay, Photography, Romanovs, Russia, St Petersburg, Travel, Tsar Nicholas II.